Sending your child off to school hasn’t been as carefree for parents as in past years. Because of increasing levels of violence in our society, more and more moms and dads have considered buying bulletproof backpacks for their children. In addition, some parents opt for placing armor plates in their child’s backpack. In any case, both forms of protection provide a sense of security for all folks involved. Besides students, many people in the workforce that have the potential to be a target during political uprise may consider a bulletproof backpack. 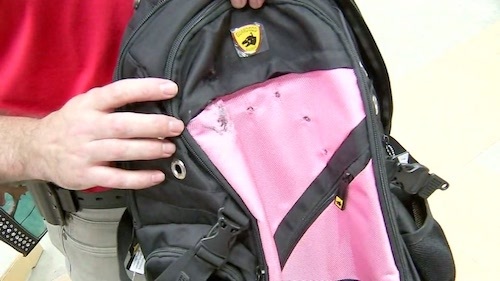 On average, backpacks that are bulletproof in design cost in the area of $150 – $200. They’re also very well-made backpacks that are in it for the long haul. 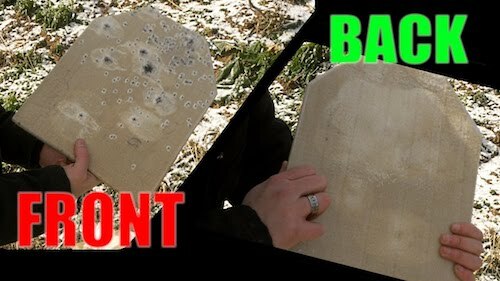 3 How Effective Are Armored Plates? Any bulletproof products you buy should be NIJ certified. A rule of thumb is to make sure the NIJ certification is displayed on the company’s website from which you are buying. Consider not making the purchase if the company does not have such a certification. Ask before you buy! 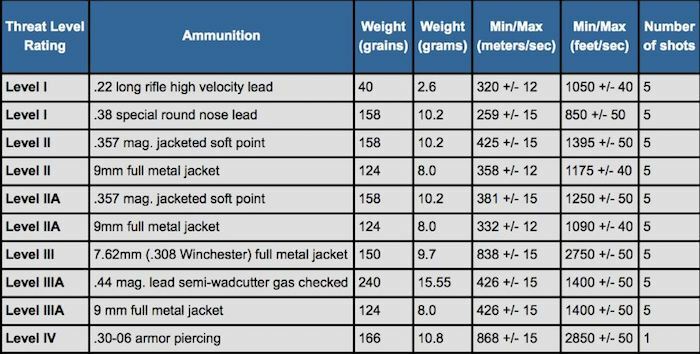 Check the caliber levels, as some calibers are more common than others. A lower level panel may still do its job and block the heavy blow of a bullet that usually would be prevented by a panel with a higher level rating. Please see below for the NIJ Rating system. Level 1 – This level is noted for the bulletproof technology in its early stages. Level 3-A – Offers a higher body armor protection. This is typically the type placed in backpacks of an average price. Level 3– Formulated to block .223 ammunition, as used by an AR-15 — comes with a minimal protection against powerful rounds. Level 4 – This is the highest degree of prevention available for purchase. Level four is the go-to for SWAT teams and other high-risk jobs. How Much Does The Plate Weigh? Plates that are ranked highly are made of harder materials and weigh more than Level 3-A. Before you purchase a plate for a young child, always ensure any bag or insert is of a proper weight. Level 3A is suitable for those concerned about commuting by foot in busy urban areas where gun violence is usually the highest. Level 4 is much heavier than the previous level because it’s made of a tougher substance as opposed to the softer 3-A panels which are lightweight protection. How Effective Are Armored Plates? Level 3-A is usually the rating for most backpacks. This level won’t block high-velocity rounds. Gunshots can be detrimental without a direct impact. This means while the bullet may not touch you, you’ll still deal with the dramatic increase in weight of the plate. For this review, the following list of backpacks offers Level 3-A protection. On the other hand, with Level 3 and 4 protection, it’s best to buy a plate because there’s so many at the ready. Manufacturers tend to lead towards this level. For example, your child may absolutely love their existing backpack. You can simply add an insert to get the best of both worlds. They’ll be happy and protected. If you’ve ever watched the Guard Dog YouTube video, you know what I’m talking about. GUARD DOG SECURITY offers the ultimate in comfort. Their packs offer a gel-type strap which is perfect for people and students on the go. The styling is basic, but it has all the subdued features that help you to blend in a crowd. With the ProShield Smart Tactical Backpack, you’ll get a strong and padded sleeve that fits average laptop size in addition to more than 20 small compartments to keep all of your accessories nice and neat. In addition, Guard Dog performs ballistics tests on all packs before sale. Along with the ballistics tests, Guard Dog also includes tests results which are certified in their description photos on Amazon. They stand behind their quality product and guarantee results. 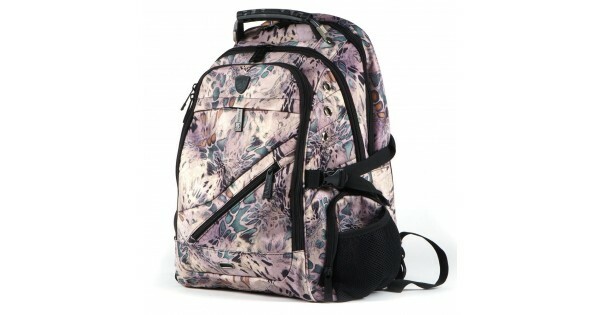 However, this bag is rather small, so it’s a better option for a school student rather than an adult. Aside from that, it’s a solid and reliable form of protection. The Guard Dog Security ProShield 2 is the perfect pack for daily use or traveling. This backpack combines safety and style. The Guard Dog ProShield 2 also features an organic design of animal patterns and textures. Rather than traditional trees and leaves, the textured design creates a vivid and appealing 3D appearance on a 2D surface. This bag is a favorite amongst school-age children as it’s appealing to the eye, with a fun and creative style — you’ll find everything you need in this lightweight pack. For example, this pack includes over twenty organizational panels and pockets. These include a tablet/laptop pocket and detachable key ring. In addition, a built-in auxiliary multimedia port extends from inside the backpack to the outside shoulder strap for music and hands-free phone usage. The Guard Dog 2 is a great choice for both adults and students of any age. 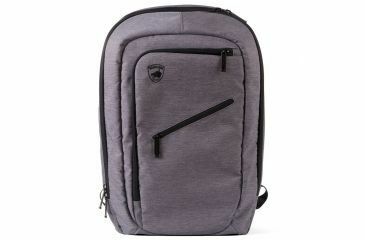 It’s a personal ballistic pack with a low-profile look, along with tactical functionality. Ergonomic comfort, plus added gel support, and padded shoulder straps finish off the features of this pack. Lastly, the Guard Dog II weighs mere ounces more than tactical packs, and it will keep you protected even during unobtrusive situations. A great choice. In today’s society, mass shootings have become more of a reality and it’s never too early to be protected. Bulletproof backpacks provide oneself and parents of children, a sense of security in the event of assault fire. Finally, all proceeds of Guard Dog bulletproof backpacks will benefit families and victims of the Parkland Shooting Via Broward Education Foundation.